• Abrasion-Resistant, Tongda palm with Nappa goatskin overlays for better grip and comfort. • Tongda overlay on the thumb to help resist wear from the grip flanges. • 3D Turtle Protector on pointer and middle finger has a stereoscope shape for a lightweight, performed fit without the extra bulk. • Heavy Lycra® fourchettes increase comfort and finger dexterity. • Two-Way Spandex material on the thumb, pointer, and middle finger. 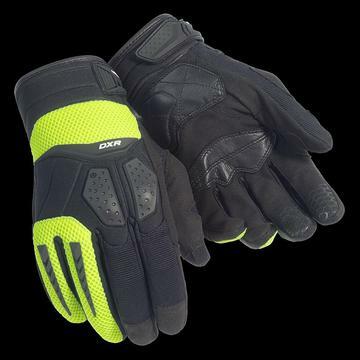 • Four-Way air mesh material on the back of the hand, pinky and ring finger. • Silicon printing on the pointer and middle finger for better grip on the brake and clutch lever.